Jen Benton first picked up the electric bass guitar at the age of 15 years. Young and proficient on the trumpet, she took an immediate affinity for the bass and began to pursue it as her primary instrument which has lead to her professional career. 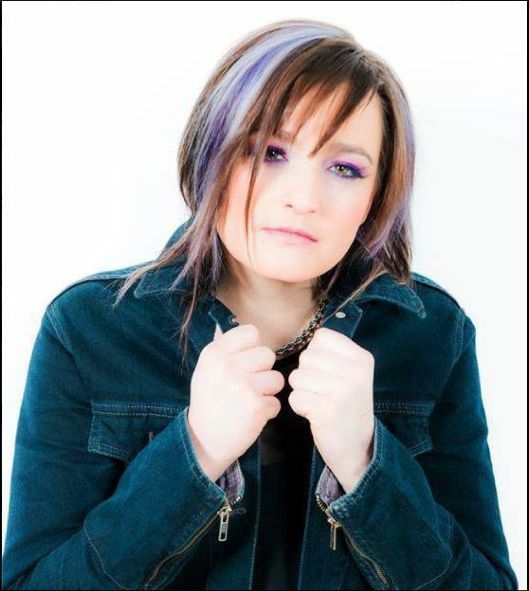 Jen Benton has appeared/performed on National television programs such as the Craig Ferguson Show, MTV Live Canada, MTV's Total Request Live, Breakfast Television, CBC, IFC, and ET Canada. She has also performed and appeared on countless live radio shows, awards ceremonies, record company showcases (Canada), Virgin Festival, Sirius Radio, and live internet broadcasts. Some artists that Benton has been billed alongside with include The Cult, New York Dolls, Cyndi Lauper, Tegan and Sara, Debbie Harry, Tommy James and the Shondells, Lenny Kravitz, The B52's, and the Dresden Dolls. She has also performed live with Alex Lifeson, Andy Kim, Ron Sexsmith, Colin James, Dru, Kim Mitchell, Sam Roberts, Serena Ryder, august, Lily Frost, Lights, Sarah Slean, The Cliks, Luke Doucet, Divine Brown, Mark Holmes, and Lorraine Segato to name a few. She recorded a full length album "Dirty King ~ The Cliks" with Producer Sylvia Massy in the fall of 2008 in Weed, California. Benton graduated with Dean's Honour Roll recognition from Hamilton's Mohawk College in the Applied Music Program. She then completed Humber College's Music Bridging Program. She studied both jazz and classical theory and performance as well as privately on upright bass with teach Pat Collins. She was accepted into Victor Wooten's Bass/Nature Camp in Tennessee during the spring of 2003 where she was honoured with a complete scholarship. Jen Benton has been apart of groups who have won "The Artist on the Brink Award" (2008), Toronto Independent Music Award for "Best Country" (2006), as well as the 14th Best Bass Line Composition from online music site "Garageband". Benton was officially endorsed by Spector Bass on July 7, 2011 (see announcements). She also endorses Markbass Amplifiers, EMG pick-ups, Mono Cases, Gruv Gear Fret Wraps, and Mesa Boogie Amplifiers. Jen Benton is the bassist for popular GTA classic rock/retro band Stiletto Flats who perform regularly throughout the GTA. She is the bassist for David Bowie tribute band "I Will Be King" who have sold out shows continuously through 2017 and are booked well into 2018. Also the bassist for songstress Meredith Shaw and performs on both electric and upright bass with her. They have toured throughout the east coast of Canada. Jen performed on both tringles "Hardest Goodbye", which was produced by John-Angus of the Trews, and "Trouble" produced by Joel Placket. She has also joined Toronto's Pop/Duet band Bathurst Station as well as electro/pop/rock band Last Hologram. Jen has been hired as a touring bassist for Classic Albums Live having performed note for note music by David Bowie, Led Zeppelin, Fleetwood Mac and Pink Floyd. She has also joined Sirens of Shanti who are booking well into 2018. Benton teaches private bass and theory lessons to students at various levels of performance and education. She also performs rock, jazz, pop, country, and funk gigs throughout the GTA with various musicians.